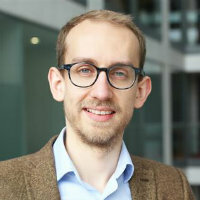 Sam joined City University of London in 2018 as a lecturer in diagnostic Imaging. He previously worked at Mid Essex Hospitals NHS for six and a half years where he took on a number of roles and responsibilities. In 2017 he was recognised nationally for his radiography work and became the youngest recipient of the prestigious UK Radiographer of the Year Award. Whilst predominately working as a Computed Tomography (CT) specialist within the radiology department, he joined a project to become the first diagnostic radiographer to coordinate the Multi Disciplinary Diagnostic Centre (MDC) for the vague symptoms cancer pathway. His involvement with this innovative project allowed him to independently perform patient consultations, put patients onto the pathway, request and perform CT imaging, organise and discuss patients at MDT meetings and allowed him to give patients their results. Under IR(ME)R legislation he was recognised as being both an operator, a practitioner and a referrer. Over the years he has published research articles on CT and has also written trust policy on CT Intravenous (IV) contrast administration. He also works as an expert reviewer for Cancer Research UK and has held a position at the British Standards Institute (BSI). Penry, S. (2014). Safeguarding Radiography Education – Motion 60. Annual Delegates Conference (ADC) Society of Radiographers (SoR)..
Penry, S. (2013). Embracing Quality Care for people with dementia – Motion 10. Annual Delegates Conference (ADC) Society of Radiographers (SoR). Penry, S. (2017). The Diagnosis of Hepatocellular Carcinoma using Computed Tomography and Magnetic Resonance Imaging. Synergy: imaging and therapy practice, 12. Penry, S. (2017). Reply from the Author: CT Trauma. Synergy: imaging and therapy practice, 10. Penry, S. (2017). Multi-detector Computed Tomography (MDCT) Trauma imaging of the severely injured patient (SIP). Is there a protocol of choice? Synergy: imaging and therapy practice, 5. Penry, S. (2012). Computed Tomography Colonography (CTC): The preferred Alternative Choice. Synergy: imaging and therapy practice, 6. Penry, S. 16031 IV Contrast Media in the Radiology Department: Trust Policy and Clinical Guideline” Mid Essex Hospitals NHS Trust.